For the first sight, it is simply a drinking bottle! Indeed, this is also a smart wireless Bluetooth speaker! Sound wonderful, right? 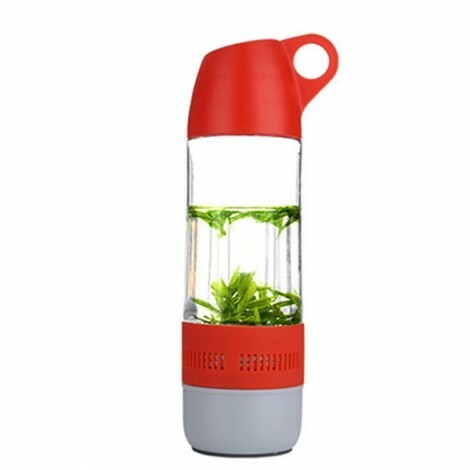 Though with compact size, it can hold 400mL water for daily drinking. This Bluetooth speaker, due to its sophisticated workmanship and high-tech design, supports excellent waterproof function, 10m Bluetooth distance and fast transmission speed. It is made of premium material, so the speaker is durable and reliable to use. It is so cool that is also a good gift for friends and families! Wanna have a try?